The Wellness Department at the JCC of the Lehigh Valley strives to provide the entire family with programs to help maintain a healthy lifestyle. Our trained staff is eager to assist you in reaching your fitness goals whether through personal training, swim lessons, group fitness, or your weekly workouts in our Fitness Center. There's something for everyone at the J. Work out with our personal trainers, try out our Fitness Center, or take a group fitness class with your friends. Classes are available to fit all schedules. The Aquatics Department is dedicated to giving you the best swimming instruction possible. Whether you're a beginner looking for swim lessons or a seasoned swimmer looking to brush up on your strokes, the JCC of the Lehigh Valley has you covered. The JCC is proud to offer sports for all ages. No matter what experience you may have, you will be able to find your place at the J. Join our adult basketball league or play some squash on our new courts. Visit the J to learn a new activity or improve your skills in an old one. The choice is yours! The JCC Wellness Department offers a variety of wellness services, such as private locker rentals, to help make your health regimen at the J the best it can be. Looking to for a fun way to get in shape? 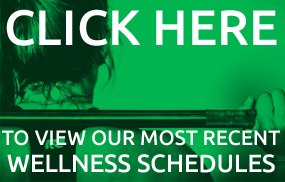 Check out our wellness events at the J. Throughout the year, the JCC hosts a range of exciting wellness events to not only help keep you fit, healthy, and active, but also to give you an opportunity to become involved with the community, meet new people, and most importantly, to have fun. There is an event for everyone here at the J. For more infomation about wellness events at the J, or if you or your organization is interested in sponsoring an event, please contact the JCC Welcome Desk at 610.435.3571.